I hear it on a regular basis. You MUST ALWAYS strip-set carp. I hate blind paradigms. 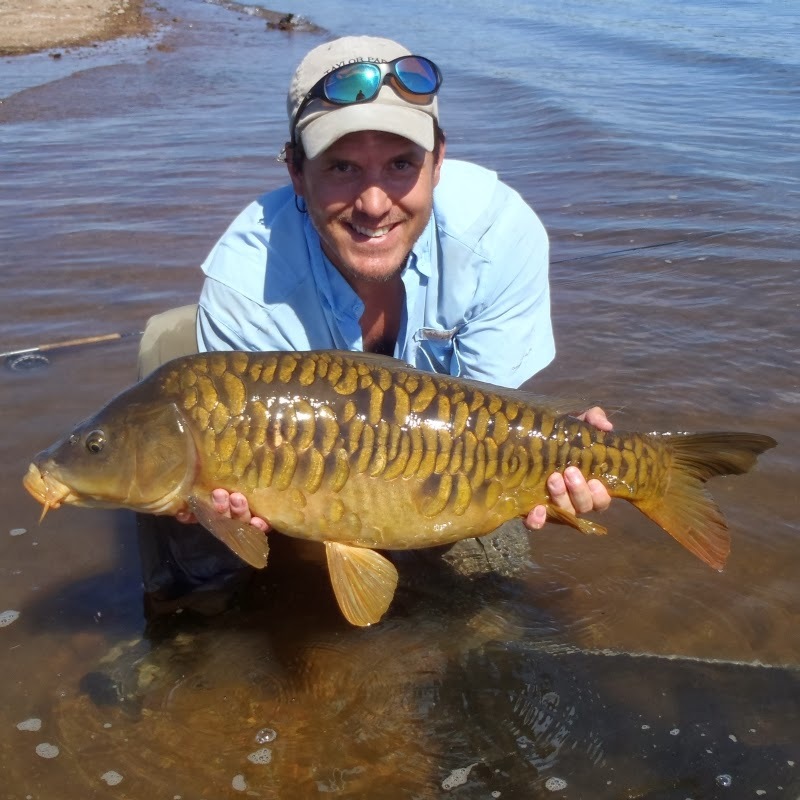 When should we not strip set carp on the fly? For many of you my answer is going to be very surprising. For some my answer is going to actually be offensive! 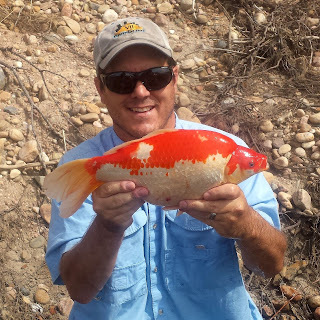 I trout set carp most of the time and I am going to tell you why you probably should as well. Just please read on before you decide I am stupid. First of all I certainly know how to strip-set. Before carp I had a long and healthy addiction to blind fishing streamers for predatory fish. For this style of fishing trout-set is a dirty word and for good reason! When you are stripping streamers for predatory fish a trout set is just absolutely ridiculous. 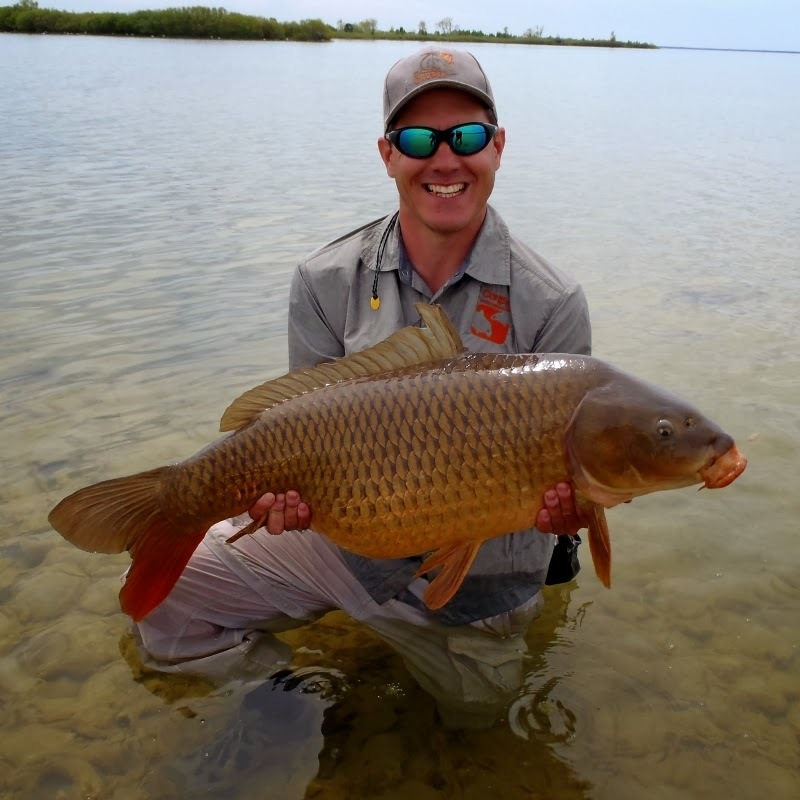 So, why in the heck would it be different for carp? Well, partially because MUST ALWAYS is actually the only dirty word for carp, but there are actual reasons. Really good ones. First of all 90% of the time you are not stripping streamers for carp. You sure as hell shouldn't be at any rate. There are exceptions. There are always exceptions. Remember, MUST ALWAYS is the only dirty word. At certain times of year in certain bodies of water you can and should present a steadily swimming or stripped fly to carp but it is the exception not the rule! Unfortunately this exception means that guys from Lake Michigan or Blackfoot Reservoir and similarly freakish fisheries are gonna think I am stupid. So be it. In general you are better off presenting the fly on a dead drop onto the dinner platter with little or no action. Even when you do apply action it should be small twitches or strips with significant pauses. As a result you may not be perfectly tight to the fly when the fish eats. As a matter of fact it is often better to NOT be perfectly tight to the fly because carp often try and inhale the fly from a distance and If you have the fly under tension it can prevent it from getting to the carp. The less tight you are to the fly the less effective a strip-set is. Now second of all carp have soft mouths. One of the arguments I have heard for strip-setting is that you cannot generate enough force with a trout-set. That is true. For Tarpon! That is true for a whole lot of predatory species, but not Carp. A Carp's mouth is tough but fleshy and not too dissimilar to the flesh on a persons hand. So, I will make a deal for anybody who doesn't believe that I can trout-set with enough force to set the hook in a carp's mouth. We will make a little bet. You hold a hook in your hand. I trout set. Here is the bet. I betcha it is gonna hurt like hell when I bury that hook all the way into the bend! And no, I do not always remember to de-barb. The third reason may be the most profound. I call it carpin's dirty little secret. You know how they say that 90% of fish caught fly fishing are within 50 feet? Well for carp the number is really more like twenty feet. Now given that you typically have a nine foot rod and a nine foot leader it turns out that most of the time if you have your rod-tip on the water and want to strip set under 20 feet your leader to line connection is going to be inside the guides. Often when you strip set the leader knot is going to hang up on a guide and you won't set the hook at all! Being close to the fish creates other issues with the strip-set. Primarily, when you don't have any significant fly-line between you and the fish you don't have anything to absorb the shock of a strip set. Unless you are really good at slipping the strip-set you are going to break off allot of close-in fish in the initial shock. People who have just made the transition from SMB to carp are particularly likely to hold the strip-set too long and shock their leader. Additionally, when you start to get within dapping range (lets call it 15 feet) strip setting starts to become extremely awkward from a physical standpoint. Imagine for example trying to strip-set when you only have three feet of line out and your rod-tip is directly above the carp's head. It just doesn't work! Now, another common argument for strip-setting carp is that you some-how get a better, deeper and more positive hook-set and land more fish with a strip-set. I strongly dis-agree. I trout set roughly 80 percent of the time and I land a shocking percentage of the carp I hook. A stunning percentage. 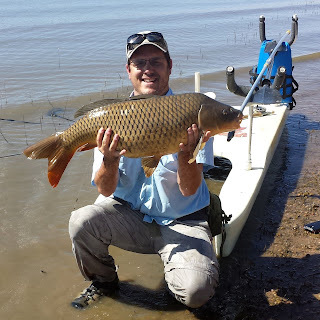 Many people catch more carp than I do but I know of none who land them at a higher percentage. I fully expect to land every single fish I hook and even though it doesnt always work that way I am legitimately pissed when it doesn't. 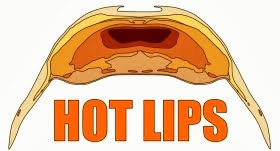 Often when I do lose a fish it is either because I had to strip-set and hooked it in the soft delicate skin lining of the roof of the mouth and it pulled out under heavy pressure or because I held the strip-set too long and broke it off. Trout-setting seems to do a better job at lifting the fly up and burying it deeply into the strong rubbery upper lip, particularly at close range. And finally, the best carp fisherman that I have ever fished with (John Montana) trout sets even more than I do! 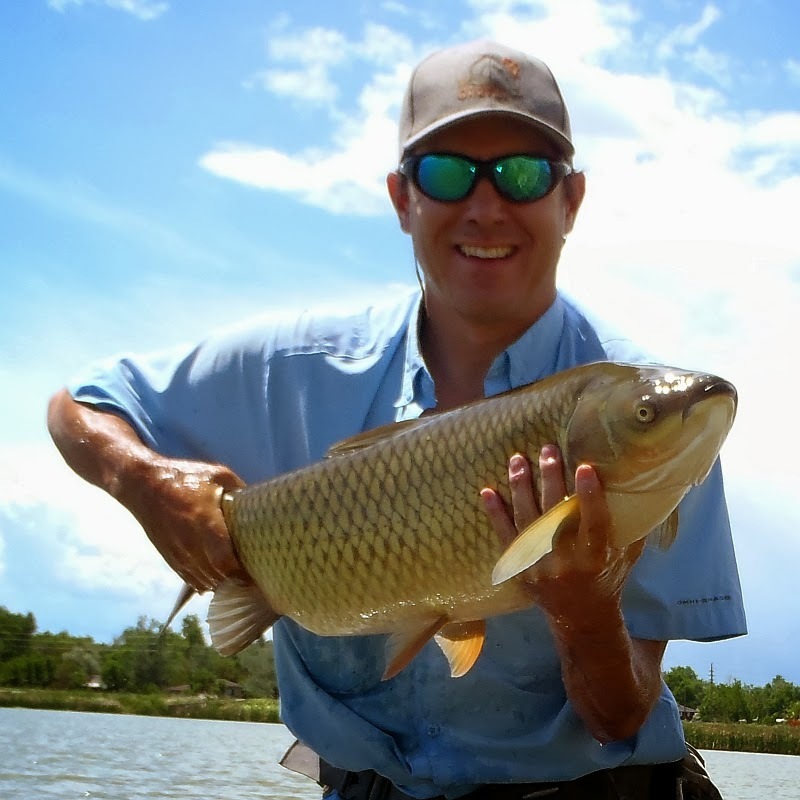 As far as I can tell John Montana catches as many or more carp than anybody else in the country. I have fished with him on multiple occasions. His carp catching ability is awe inspiring. You are going to have to argue hard and fast to convince me he is doing it all wrong. 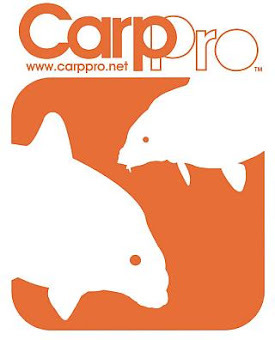 So, when SHOULD you strip set for carp? 1) You should usually strip set when fishing to carp at range. Lets call it > 40 feet. 2) You should always strip set if you absolutely have no chance of visually detecting the take because of poor or no visibility and must feel the take. 3) When continuous stripping or swimming a fly. That is about it folks. Strip setting is a dirty word on the Columbia! Hah, I wish you posted this two years ago! Not sure I could have as strongly formulated the opinion two years ago. Hopefully it is better late than never! SM Bass probably eat more smolts than the native pikeminnow, just saying, and walleye as well. I trout set mostly as my fish are close also, 6-15' mostly, except when probing with a full sink line. That was good Mctage! The pikeminnow thing on the Columbia is interesting. Guts make a living off that bounty. Fascinating. I prefer not to strip set. Every fish, fishery and angler is different as is every initial connection between my eyes and the fish eating. I do what works at that particular instant. Most of the time it works, sometimes it doesn't. Here in California I target reaction fish. Which means 80% of the time im fishing light wt streamers to cruising fish. I rarely throw on tailing fish unless that is my only target. And then, I usually wait them out and take the shot once they get there head up. I know this approach doesn't work for everyone. 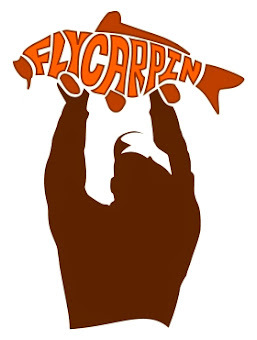 Ive been with some damn good fly anglers and they just don't adjust very quickly to my style and approach to carp on the fly. Thats ok..do what works for you. My friend Mike specializes in light streamers to cruisers as well. So effective, but it DOES seem to be hard to get the hang of it. The take is so hard to time! Good stuff Trevor. I tend to be all over the place with this depending on the circumstances. Seems to line up with what you're saying here though. If I see the take clearly, it's trout set all the way. These are usually fish within 20 feet or so. If I'm unsure about the take, I'll give a small strip and morph right into trout set if I feel resistance. Kind of a hybrid strip-trout set, I guess. At distance, it's almost purely strip set. I strip set several times in Michigan, always on those fish that were cruising and required a 30-40 foot plus cast. And that really is the point. What is best depends on the circumstances! Persuasive argument, thank you so much for the information, I will tailor my fishing accordingly. You bet Atlas. Thanks for stopping by. So now. In the reverse argument, it is probably true that you should not ALWAYS trout-set carp either. The strip-set is a valuable skill, just not one that should be over-used based on dogma. Good stuff Trevor. When it is windy and the water is cloudy, and I think the fish may have just moved, and I don't want to spook him because I know the fly is on or near his dinner plate, I will give a light, short strip; barely enough to call it a set. It is much more like what we used to call a "trial set" fishing for steelhead back in the 80's. Otherwise, I "put the wood to 'em"! Do "trial sets" ever work out for you? They seem to NOT work out for me. It seems like I need to just commit and either set hard and with authority or not at all. They SHOULD work though. Not sure why.